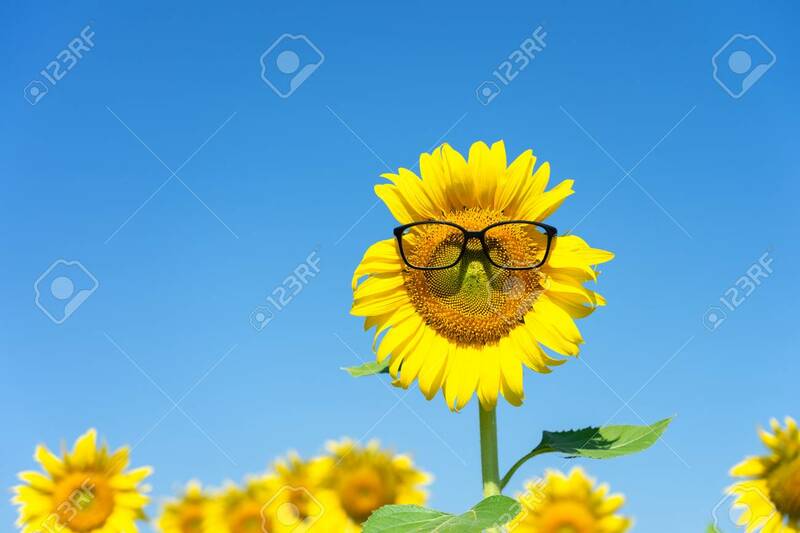 Sunflower (Helianthus Annuus) Wearing Black Eye Glasses. Sunflower Blooming In The Middle Of The Sunflower Plantation Blaze In The Background, Bright Sky Lizenzfreie Fotos, Bilder Und Stock Fotografie. Image 114602995.